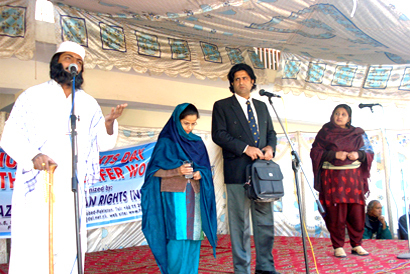 FHRI hired a professional team of theatre group consisting of 10 TV and stage artists. 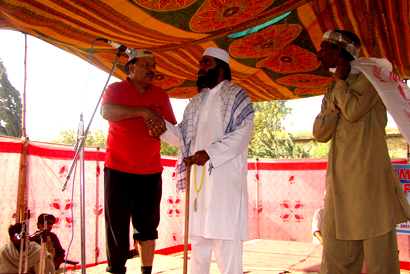 In Sindh, FHRI hired another team, which has performed the drama in Sindhi language. 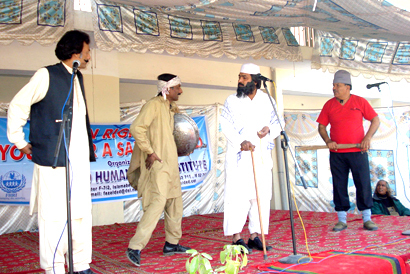 This group goes along with the team of FHRI and performs dramas on human rights issues by playing roles of father, mother, son, daughter, molvi (iman mosque), sweeper, Chaudhry and others. 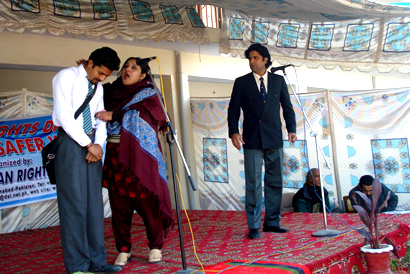 The interactive theatre performances were very informative and the issue of human rights, women rights, minorities rights, human rights and gender equality were clearly addressed. The fact that Islam is a peaceful religion which respects all humans irrespective of their caste, creed, colour, language or race was also highlighted. The Institute has had the singular accomplishment of introducing human rights in remote areas of Pakistan, including FATA and rural districts, where human rights programs have never been conducted before and where the need is greatest. The very important point we have seen in this project is response and the participants output which is shown in every program. The involvement and commitment shown by the students and the community is marvelous. They have really shown their enthusiasm in a very effective manner.